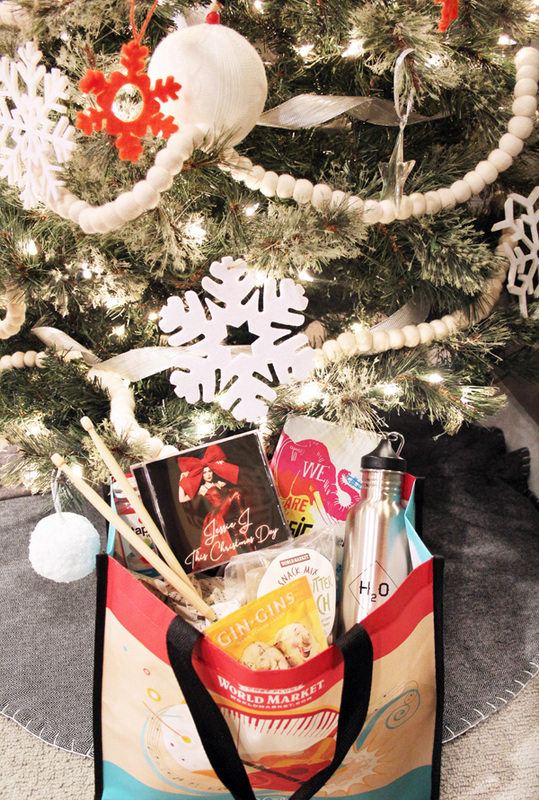 Gift Ideas for Musicians + Star Maker Song Contest | Blue i Style - Creating an Organized & Pretty, Happy Home! We usually wait until Thanksgiving to start decorating for Christmas, but Christmas music season starts in our house way before Halloween. That's what happens when you're married to a professional Christmas caroler and his rehearsals start in early October. Did you even know there was such a thing?! 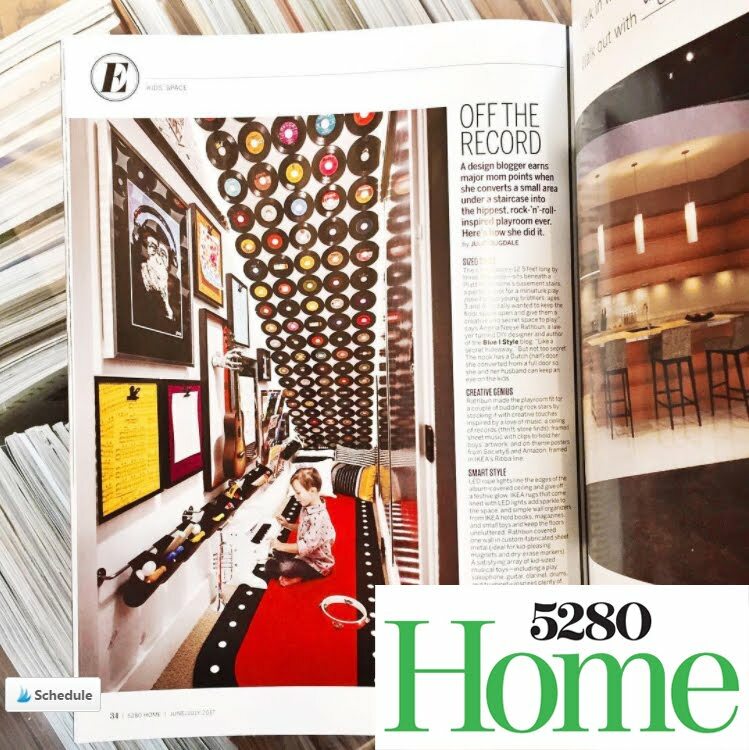 If you've been reading the blog awhile then you may have heard me mention that one of Scott's two careers is as a musical theater performer, but during the holiday season he also sings with a Christmas caroling company that gets hired out for private parties as well as public gigs at events throughout the city. I love having a singer in the family to serenade us with Christmas tunes and help put us all in the holiday spirit! When Cost Plus World Market asked me to partner with them to help spread the word about their Christmas partnership with Jessie J. and the Star Maker Song Contest, and to share some gift ideas for music lovers, I was excited to get Scott involved as well! This holiday, Cost Plus World Market has teamed up with GRAMMY® Award-nominated, UK recording artist Jessie J. Her new album, This Christmas Day, is out now and includes collaborations with David Foster, Babyface, Boyz II Men and more! The album is really good, you guys! Jessie J. 's original recording of "Santa Claus is Comin’ To Town" is featured in Cost Plus World Market's adorable new Christmas commercial that reminds me so much of my own little boys, who are both such thoughtful gift givers! This season, World Market is also asking you to share your talent and love of Christmas music by participating in their Star Maker Song Contest. All you have to do is create a video of yourself singing "Santa Claus is Comin’ to Town" - you can create your own musical accompaniment, sing a cappella, use the instrumental version with lyrics online here. or record yourself at a kiosk in participating World Market stores. 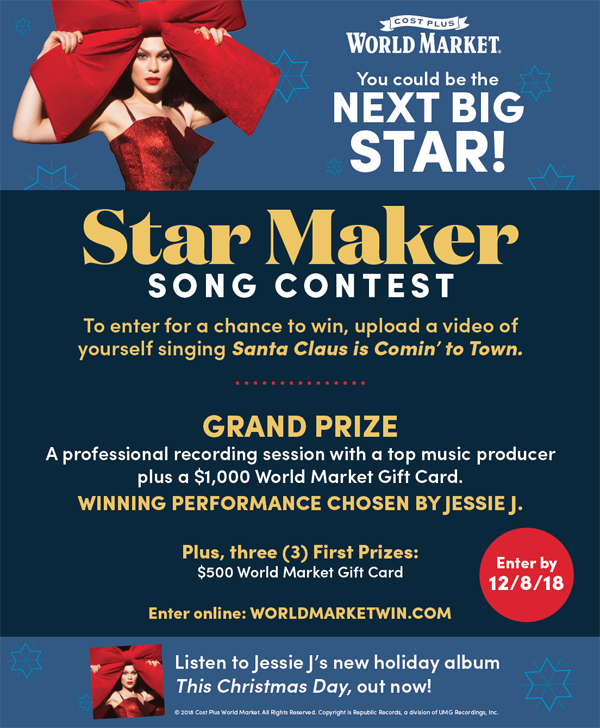 Jessie J. will be choosing her favorite performance and that lucky grand prize winner will have a chance to record their own version of "Santa Claus is Comin to Town" in Hollywood with a top music producer and will also receive a $1,000 World Market gift card. 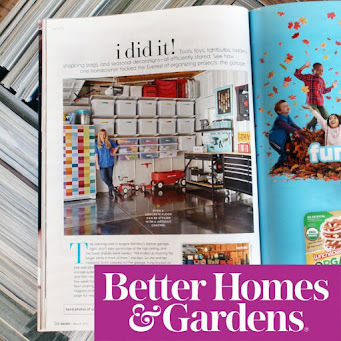 Three 1st prize winners will also win a $500 World Market gift card. 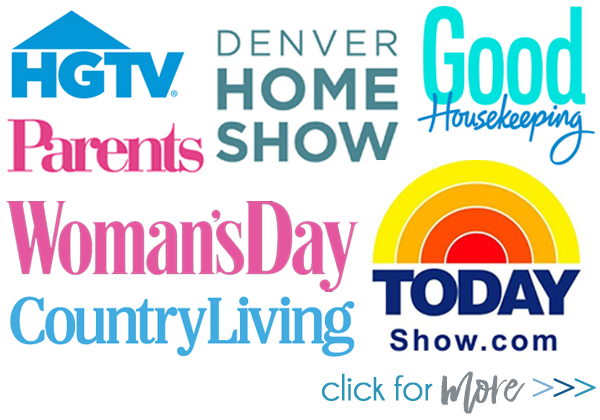 The top scoring video at each participating store will also be awarding a local prize of a $500 World Market gift card. Ok, now let's talk gift giving! If you have a musician in your life, then you know that coming up with just the right gifts for him or her can be challenging. 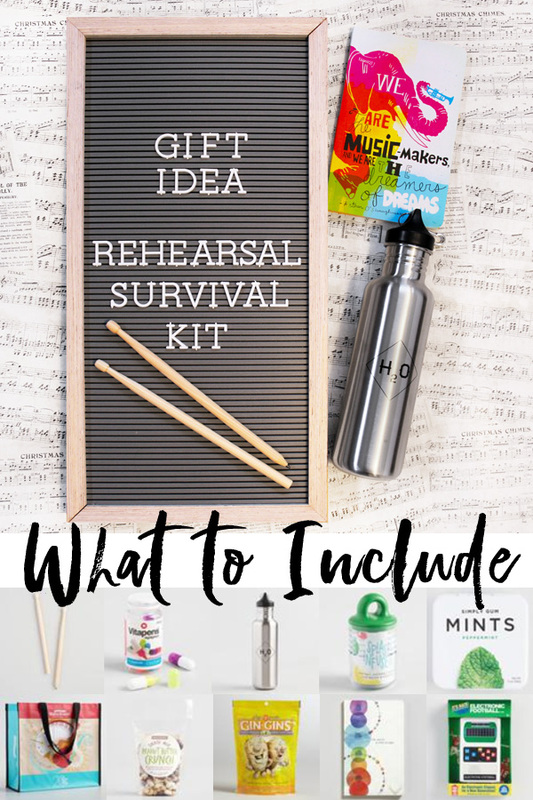 This year, I asked Scott to help me compile a list of practical gift ideas to help musicians and actors get through those long rehearsals! 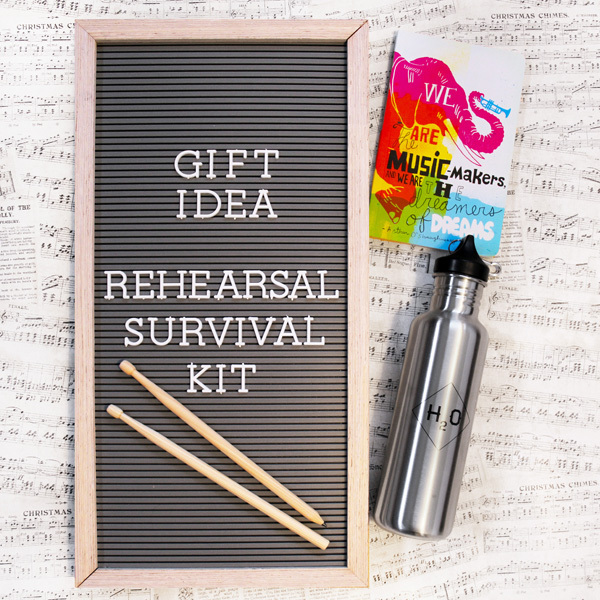 The good news, you can find everything you need to create the perfect Rehearsal Survival Kit at Cost Plus World Market! stainless steel water bottle and a water infuser that's designed to fit inside a standard water bottle. Scott also recommends these ginger hard candies that make great throat lozenges. Learning Lines & Staging - During rehearsal, musicians and actors always needs to highlight their lines and take notes. Include a small notebook, some fun wood drumstick pencils, and a set of multi-colored mini-highlighters. Snacks for Energy - Long rehearsals often require a little snack, and World Market has tons of great options! Scott loves the Peanut Butter Crunch Snack Mix. Of course, good breath is a must on stage, so the kit should also include some Simply Gum Peppermint Mints for after the snack. Pass the Time Back Stage - Include a one or two things to help your musician or actor pass the time between scenes or sets. My husband is a big football fan, but he often misses watching his favorite teams play when he’s at rehearsal or performing, so we added a Classic Electronic Football Handheld Game. This mini-doodle kit is another fun option! Make it Easy to Carry - Rather than wrapping all these gifts, consider putting them all in a bag that can easily be carried to rehearsal and back. Right now, World Market is selling Save the Music Tote Bags that help support music and arts in the schools, helping to create the next generation of musicians!